BUTUAN CITY, April 26 (PIA) – The Caraga Youth Leaders Network (CYLN) will hold the “Butuan City Youth Leaders Forum with Local Candidates for Congressional, Mayoralty, Vice Mayoralty, and Councilors” on May 6 at the Luciana Convention Center, this city. The activity will be attended by almost 200 youths who are registered voters, CYLN head Mr. Rex Ybañez said. Attendees will hear straight from the local candidates their programs, projects and services on youth development. Topics to be covered include youth issues and concerns on education, employment, prostitution, health, food and nutrition, peace and security, science and technology. “This event shall also discuss the proposed City Code on Youth Development by this Network known as the 'Butuan City Youth Welfare, Development, and Protection Code of 2013' pending before the Butuan City Legislative Council,” Ybañez said. Some people’s organizations, government agencies and local tri-media are also expected to attend the said affair. BUTUAN CITY, April 26 (PIA) -- Malaria cases in the province is on a downtrend, the Agusan del Norte Provincial Health Office said. In a press briefing held in celebration of the World Malaria Day, Agusan del Norte Provincial Health Officer Dr. Elizabeth Campado bared that based on statistics, in 2010, there is 42 cases of Malaria in the province; 19 cases in 2011; 4 in 2012; and 2 cases recorded in the 1st quarter this year which shows a decreasing trend. These cases are mostly recorded in some barangays of Cabadbaran City and municipality of Santiago. “Malaria cases in the province have been decreasing and hopefully, in the coming years, we will be declared as a ‘Malaria-free province’,” stressed Campado. Campado added that since 2007 up to the present, there was no death recorded in the province caused by Malaria. "This is because of the unified efforts and cooperation of the barangay health workers, barangay officials, and residents in the communities. The provincial government with the Department of Health has been very supportive to the Malaria Control Program," she said. Campado also said that the provincial government has been doing effective strategies to prevent Malaria, and among these are: 1) Case detection and treatment; 2) Vector control (controlling the vector-breeding sites where the ‘Anopheles’ mosquitoes are carrying the disease); 3) Canal/stream clearing; 4) Provision of insecticide bednets to the barangays; and 5) Inter-sectoral coordination (coordination with the local government units, barangay officials, government agencies, and partner stakeholders to gain support and funds for the different activities related to the campaign). “With active participation of the people in the communities, we find it easy for us to sustain this program and keep our families away from this disease. We also thanked our partner-agencies and the Global Fund (funding organization) for their continuous support in this program,” Campado emphasized. Agusan del Norte Provincial Malaria Coordinator Mr. Jimmy Egay recognized the vital role of the media in bringing the significant information to the communities and help prevent Malaria. He also said that Information Education and Communication materials on Malaria control are also given in the schools to inform the students about the Malaria Control Program of the government. Egay further said that the province has already established the Anti-Malaria Action Committees in the municipal and barangay levels. They serve as the team in the respective barangays who will monitor and lead the implementation of the program. They can also assist the residents in referring them what agencies to approach for certain services and programs that they need. “We are also requesting the Sangguniang Panlalawigan to prepare an ordinance requiring fixed budget for malaria Control Program in the province of Agusan del Norte; to provide support to the Anti-Malaria Action Committees under this program in the barangays; and to provide insecticide bednets to the communities here, so as not to hinder the sustainability of said program whenever the Global Fund’s support will end in 2014,” Egay highlighted. Meanwhile, Movement Against Malaria in Agusan del Norte Project Officer Marisol Tuso reiterated that World Malaria Day is commemorated every April 25 of the year. "It recognizes global efforts to control Malaria. Globally, 3.3 billion people in 106 countries are at risk of Malaria. In 2009, 781,000 people died from Malaria, mainly women and children in Africa," she said. BUTUAN CITY, Apr. 26 (PIA) – In its effort to curb illegal drug activities in the region, joint elements of the Philippine Drug Enforcement Agency (PDEA)-Caraga, Buenavista Municipal Police Station and Agusan del Norte Provincial Public Safety Company have arrested a marijuana cultivator in Agusan del Norte. In a press statement, PDEA-Caraga Regional Director Erwin Ogario said that at about 05:45 p.m. last April 24 the apprehending forces successfully implemented a search warrant issued by Hon. Augustus Calo, Executive Judge of the Regional Trial Court Branch 5, 10th Judicial Region here. The suspect, identified as Ekan is a resident of Sitio Tabigi, Brgy. Sacol, Buenavista, Agusan del Norte who was confiscated with 22 hills of suspected marijuana (cannabis sativa) planted at the backyard of his house. Dir. Ogario said confiscated drug evidence and urine specimen of the apprehended suspect were submitted to the PNP Crime Laboratory Regional Office XIII, Butuan City for laboratory examination and drug testing. TANDAG CITY, Surigao del Sur, April 26 (PIA) -- The Provincial Peace and Order Council (PPOC) in Surigao del Sur convened Thursday for a workshop-formulation of the new Integrated Area Community Public Safety Plan (IACPSP) of the province facilitated by the Dept. of the Interior and Local Government (DILG) here. Provincial Administrator Efren Rivas presided over the meeting and welcomed the participants in behalf of council chair Gov. Johnny Pimentel. The crafting of the plan is in line with the vision of the provincial local government unit prioritizing the issues identified during the two separate situational analysis workshop conducted earlier. According to Ernie Gultiano of DILG, the formulation of the plan was conceptualized thru collaborative efforts of the LGUs/government agencies/Civil Society Organizations and members of the council of existing programs. It enjoined total mobilization of all available resources and simultaneous conduct of complementary programs which will involve the civilians, police and military. BUTUAN CITY, April 26 (PIA) -- The Asian Development Bank (ADB) has chosen a fishing town in Surigao del Norte as recipient of the US$1-million grant that will fund the Project Preparatory Technical Assistance (PPTA) for the Philippines Solid Waste Management Project. “The town of Del Carmen in Siargao Island has been selected by the ADB for its program as pilot site for the eco-tourism project “DENR 13 OIC, Regional Executive Director Nonito M. Tamayo said. The other potential sites being considered by the ADB are the cities of Tagaytay and Baguio, Puerto Galera and Boracay. “All of us must be considered of this program to preserved the aesthetic beauty of Del Carmen and be able to preserve a good environment for the next generation," RTD Mario L. Eludo of PAWSCZMS said. Del Carmen, a small Island in Surigao del Norte facing Pacific is also the site of the international fishing game activities in which thousands of foreign and local tourists come and enjoy a season of catching fishes in April yearly. Among the fish that abound in this place during this season are the sword fish locally known as “barracuda and blue marlin” fish among others. A Specialist from Solid Waste Management, Emmanuel A. Vargas along with his team and a group of DENR officials and DENR 13 Regional personnel have paid courtesy call to Del Carmen Mayor Alfredo Coro to bring the news about the ADB grant. Vargas was likewise accompanied by the Regional Technical Director of the Protected Areas, Wildlife and Coastal Zone Management Mario L. Eludo, Mayor Coro of del Carmen, and other representatives from the Mines Geosciences Bureau (MGB), Environment Management Bureau (EMB) and the staff from the Foreign-Assisted and Special Projects Office and the Secretariat if the National Solid Waste Management Commission based at the Central Office in Quezon City. 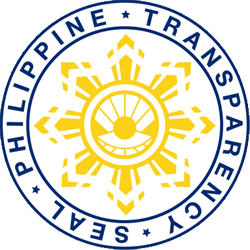 The grant will be used in the comprehensive solid waste management plan, investment program for priority solid waste management facilities such as sanitary landfills, material recovery facilities, waste handling equipment, project management and capacity development for the implementation and sustainable development for selected LGUS. AGUSAN DEL SUR, Abril 26 (PIA) -- Sinabi ni Social Welfare and Development Secretary Dinky Soliman na 1,755,034 na mga bata mula sa 45,389 na day-care centers sa buong bansa ang mabebenepisyuhan mula sa Supplementary Feeding Program (SFP) ng Department of Social Welfare and Development (DSWD) sa taong pasukan 2013-2014. Para sa taong 2013 na budget, ang DSWD ay naglaan ng mahigit P2.9 bilyon para sa naturang programa na sasakop sa lahat ng 17 rehiyon, kasali na ang Autonomous Region in Muslim Mindanao (ARMM). 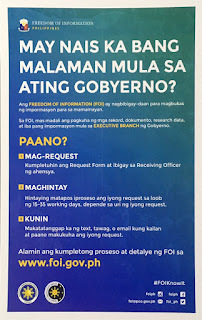 Ipinaliwanag ni Sec. Soliman na ang SFP ay ang pagbibigay ng pagkain ng dagdag na pagkain sa mga bata na pumapasok sa day care centers sa loob ng 120 araw. “Ito rin ang kontribusyon ng DSWD para sa Early Childhood Care and Development (ECCD) na programa ng pamahalaan,” sabi ni Sec. Soliman. Higit pa roon, ang DSWD ay makikipag-ugnayan sa mga Rural Health Units para sa regular na pagtitimbang, pagpurga at iba pang pangkalusugang pangangailangan ng mga bata. SURIGAO CITY, Abril 26 (PIA) – Ang Pilipinas ug Vietnam mipahigayon og bilateral talk human sa ika-22 nga Association of Southeast Asian Nations (ASEAN) Summit nga gipahigayon didto sa Brunei Darussalam niadtong Abril 24 ngadto 25. Sumala ni Presidential Spokesperson Edwin Lacierda gisubli ug gikumusta nila Presidente Aquino ug Vietnam Prime Minister Nguyen Tan Dung ang ekonomikanhong kalamboan sa duha sa duha ka mga nasod ug sila nagkauyon sa dugang pagpalapad ug pagpalig-on niini. Sumala pa ni Lacierda nga ang Vietnam mipadayag og suporta alang sa mga inisyatibo sa Pilipinas kalabot na sa seguridad pangdagat, uban ang mga kalamboan nga gisugdan sa duha ka mga nasod ug malipayon kayo ang duha ka nasod sa maong kalamboan.